You can buy time from anyone, but investing in your vision is different. My expertise, unique way of seeing things, and the care I take in what I do can help you bring your brand or project to life just the way you want it. The bottom line is, if a designer charges too little, they can't afford to spend the time necessary to do the job right. If you need a generic website for $200 or a $10 clipart-style illustration, I'm not the best choice. 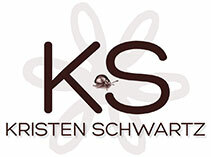 If you want to stand out and truly connect with your audience, contact me and we'll schedule a time to talk – kristen@kristenschwartz.com. I'll get all the specific details about what you want to accomplish and give you some ideas and prices to choose from. The price I start with for a basic website is $600 for the initial design or home page (which is the shell of the design that will be used on each page), and $150 for each page after that—depending on your goals and the complexity of the components you choose. Talk to me about your goals and I'll put together a bid with some ideas that will bring value to your website. Custom WordPress sites start at $1000. A responsive website will adjust to any size screen it is viewed on from cell phones and desktops to whatever the next hot gadget is. Adding responsive capabilities to an existing website will depend on how the site is built. In some cases it may be less expensive to start from scratch. As a rule, I no longer build non–responsive sites. Prices start at $250 to add an image gallery to a new or existing website. Prices start at $75 for small graphics that I create. I can also alter images that you supply. There are endless options. Let me know what you're thinking and I'll put a price together for you. Prices start at $350 for type-only logos and go up from there with more complex font treatments, addition of symbols or illustrations, etc. There is quite a range here as well. Price depends on the existing code and what you want to do. Simple changes such as changing text color site wide could be as little as $300 if there is a well organized stylesheet attached to the website. If the code is not written clearly it will affect the cost. I will let you know ahead of time when I bid the job. When I bid on updating a website, I list all costs individually so my clients can easily see how much everything is. Hourly charges sound really high when you don't know how long things take to do. Here are some examples of basic changes: adding or removing links – $5–10 each, optimizing and sizing photos – $10–25 each, small text updates can be as little as $25. It all depends on what needs to be done. I will always let you know how much your updates will cost ahead of time. If you need lots of updates and have a busy schedule, we can also discuss monthly package options. Search Engine Optimization editing for existing text or blogposts is about $75 per 300 words depending on subject matter. I can give you the total price ahead of time if I can see the text first. Contact me for a price specific to your web project. Optimization for modest size web pages starts at $100 each for basic optimization, depending on what has already been done. When I do an optimization bid, I prioritize each suggestion and break down the price so you know the best order to get things done if you'd like to do it gradually. If you are a do–it–yourselfer, you can get a thorough optimization assessment (websites up to 8 pages) for $300 with recommendations so you can do the work yourself. Consultation time is billed at $75 per hour with a 30 minute minimum. Spot illustrations start at $250. Larger illustrations start at $450. The final price will depend on size, complexity, research required, fantastical elements, etc. For self publishers – picture books with full bleed, double page spread illustrations (size 10 x 16) start at $6500. The quality of the writing and subject matter has to reach into my soul and make music because a picture book takes me about 800 hours to do from start to finish. It absolutely has to be a labor of love at that price, but the right collaboration can be beneficial for everyone. For projects with smaller illustrations...we can talk. Price for book layout (CreateSpace/Lightning Source print) is $50 for set-up plus $1 per 250 words, and $25-50 for table of contents and front matter. This includes basic text layout. It does not include images, subheads, lists, tables or other special formatting. Placing publication-ready images is $10 each and $2 per caption. Sizing or other image editing will cost more. Custom design elements or formatting begins at $2 per page. For books other than novels and especially for non-fiction, prices will differ. Contact me for more solid price details for your self publishing project. When I talk about formatting, I'm not talking about conversion here. This is layout with all the persnickety details taken care of for each page, chapter, etc. I am pricing eBook formatting on a case by case basis for now, but the price is similar to the book layout prices above. If I am doing both your print and ebook at the same time, some costs do not apply. Ebooks are like mini-websites in the way they are styled and formatted and just like websites, there are issues going from one device to the next. And of course basic layouts are fine, but adding nice design features really makes a difference for your readers’ experience. At this point it is best to contact me to discuss your eBook project and what you would like to achieve. Book cover design starts at $250 for designs from elements supplied by the client. The price will ultimately depend on complexity and number of concepts I develop. If I will be creating hand drawn elements the cost will generally increase by $450–900. What can you do to keep prices down? A lot actually. How prepared you are can impact how long a job takes and what needs to be done, which directly affects the cost. FOR WEBSITES – Get as organized as possible. If you have text and images for your site, get them together. If you need to do some writing, take your time and do this first. Revisit favorite websites and also think about things you don't like about some of the websites you see. Are there colors you want? Are you partial to any particular type of navigation over another? Figure out how many pages you need and what they will be. What is the most important information you need to get across? Ideas will often develop while you're getting everything together and it is better for this to happen before work begins on your site. If you change what you want mid-stream, additional costs will be incurred. FOR BOOKS – Get all your cats in a row and have them edit and spellcheck before moving on to the design phase. Editing after the book has gone into production can increase the price dramatically. ©2007-2018 KRISTEN SCHWARTZ • HOME • Play some more! Try zooming way out and then making your browser window narrower. What do you mean you have to go now?